With more than two decades of experience, Donna is a results-driven and accomplished media professional who is well-versed in strategy development, integrated offline and online media planning and buying, and execution solutions. As a VP, Account Director, Donna works with Media Partnership clients to strike the balance between building brand imagery and holding media more accountable. Currently, Donna manages accounts including L'Oreal's Professional Products Division, Goody, the Centers for Medicare & Medicaid Services, and Tempur-Pedic. She started her career at Lintas, where she honed her skills in traditional media—such as print and television—by working on major accounts such as Citibank, Lego, Diet Coke, Carnation and CoverGirl. In the early 1990s, Donna was part of the core team that drove Maybelline to one of the leading U.S. cosmetics brands. Afterwards, she was a founding member of Interpublic agency Gotham, where her team then propelled Maybelline to the No. 1 global cosmetic brand. 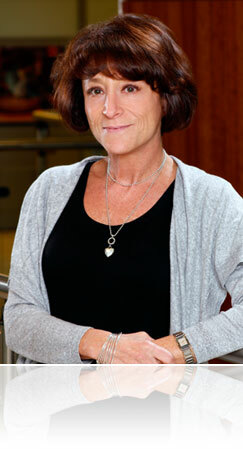 Donna earned her Bachelor of Business Administration degree, with a focus on marketing and advertising, from the City University of New York’s Baruch College. Copyright © 2010 - 2013 Media Partnership Corporation. All rights reserved.